Lyrics of the new anthem for a new nation, South Sudan Oyee! And origin of world’s civilization. Please continue to pray for Sudan during this very critical time period. Thank you for your prayers on behalf of Sudan. The elections for the South’s separation from the North will continue throughout the week of January 9th. The vote will be ratified sometime in February so please continue in your intercessions that the Lord would be glorified in both North and South Sudan. May the Lord use this video to encourage you in your intercessions for Sudan. May the Lord bless His people there and raise up many more Christ exalting churches to proclaim and live out the glorious gospel. 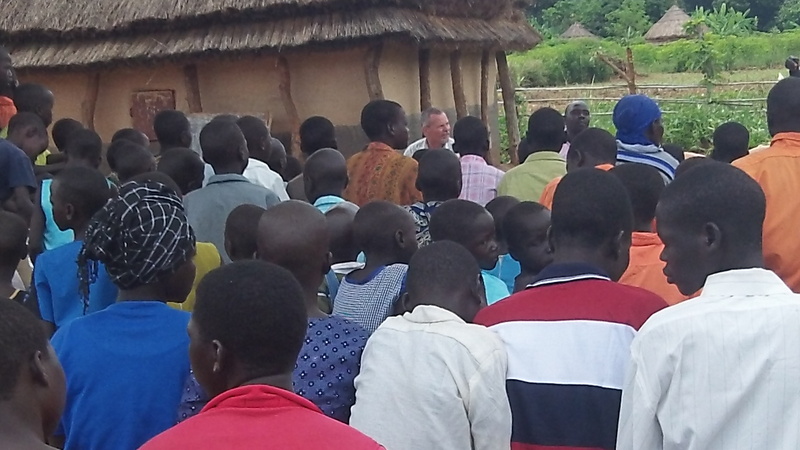 We, Reaching Africa’s Unreached, are the final negations for 15 acres right on the Sudan/ Uganda border. It is beautiful and rugged piece of property which would be ideal as a center of outreach to South Sudan, North Uganda, and Northeast D.R. Congo. Please continue in your prayers! “The Lord Jesus Christ gave His church clear instructions after His resurrection and before He was taken up to heaven. South Sudan Elections on January 9th-Please pray! This Sunday, January 9th, elections are being held in Southern Sudan. South Sudan will be voting on whether to secede from North Sudan. This is accordance with with the signing of the 2005 peace accord. This peace accord ended 23 years of civil war in which many, many southern Sudanese were killed and displaced. South Sudan is dear to me as I have made numerous friends there during my ministry trips in 2007 and 2010. The short video below will serve you by giving you needed information. Most importantly it will touch your heart and Lord willing move you to intercede for the people of South Sudan, especially our brothers and sisters in Christ. Pray for Carol and I as we seek to be vessels of Lord in North Uganda, South Sudan, and the Northeast D.R. Congo. We are still in the process of purchasing 15 acres +- in Uganda near the Sudan border as our center of outreach. There are many details which need to be approached with much wisdom. Please keep praying and consider partnering with us financially in our move to join other believers to make Jesus known in word and deed in North Uganda, South Sudan, and Northeast D.R. Congo!